When is a Weed a Weed? When Isn’t It? 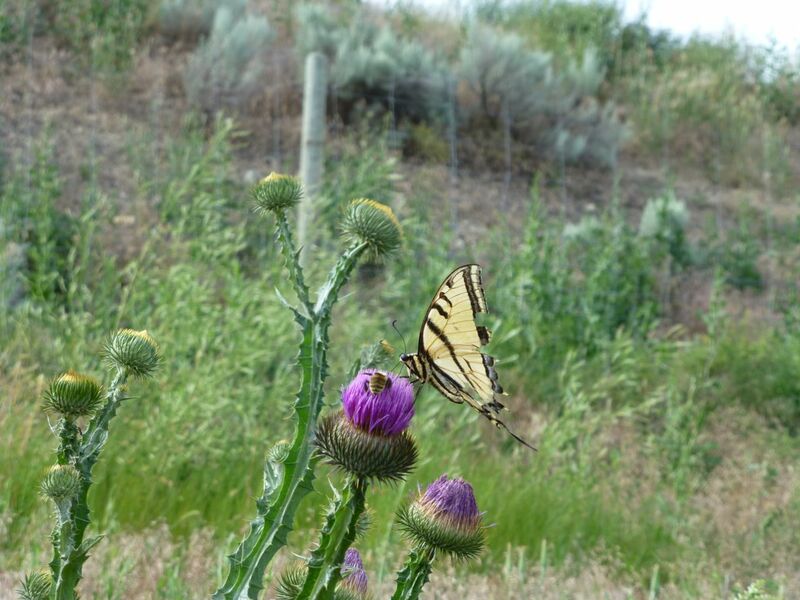 Scotch thistle is listed as a noxious weed. To whom? 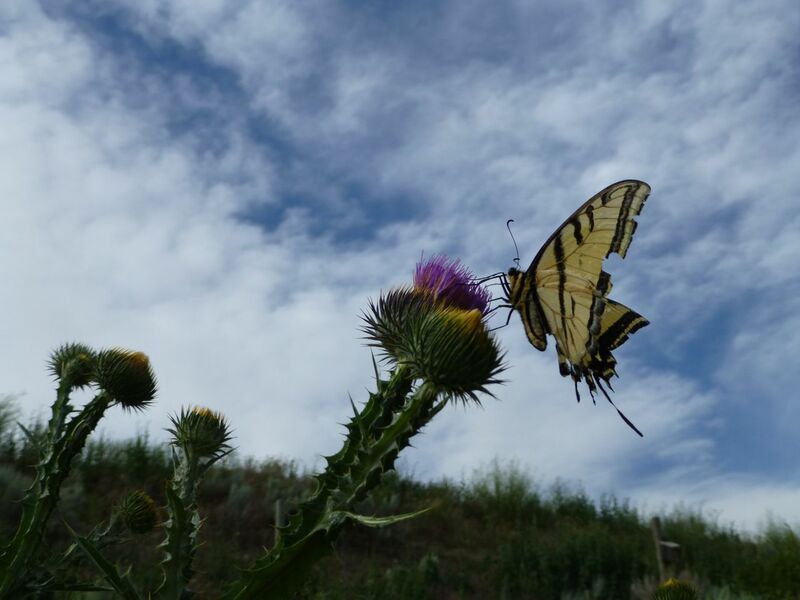 Not to Western Swallowtails tattered by the wind. 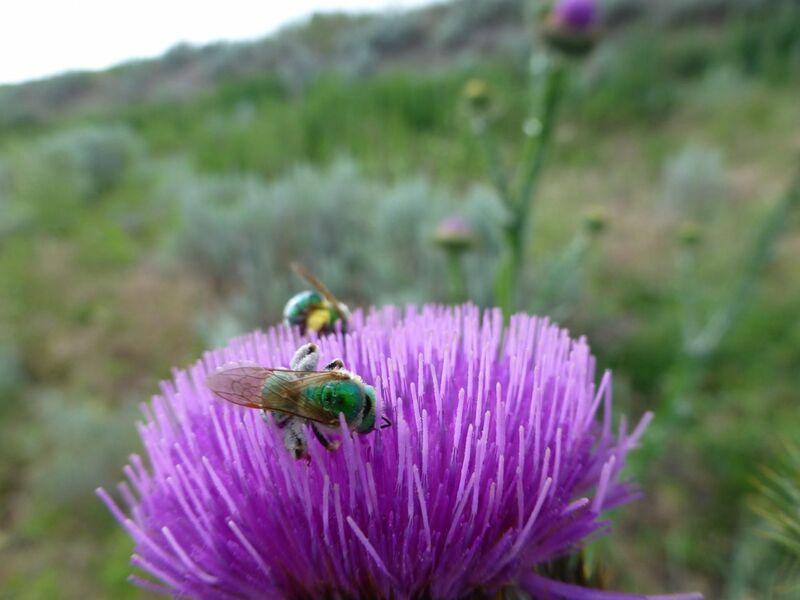 Not to green sweat bees. Not to bumblebees and Western Swallowtails at once. Maybe to ranchers grazing their cattle on old Syilx food gardens. Absolutely beautiful photos. I have always really liked this ‘weed’, much to everyone’s disgust. I think they are incredible looking!